University of California Press, 9780520286801, 256pp. "Our Favorite Books of 2016: Part detective story, part historical reminiscence, it shows the reader how hard it is to prosecute such cases, and why so many human rights violators go unpunished." "Fast paced, informative and dramatic. . . . Imagine a report from Amnesty International written by Graham Greene and John LeCarre in tandem and you will have a sense of Eisenbrandt’s exciting and well-written achievement." "An intriguing story filled with tragic 'if-only’s' and powerful ­examples of courage." "A tale told well that provides valuable insights into the motives and modus operandi of the death squads in El Salvador, and of the financiers who commissioned and facilitated such crimes. It also highlights the difficulties that face those who pursue such cases many years after the crimes have taken place." "Assassination begins like a crime thriller, complete with a criminal manhunt, before transitioning into a courtroom drama. Ultimately, however, the book’s lasting value is as a work of history." "Eisenbrandt's book is rich in depth and form . . . This book is specially relevant today." "It has taken Matt Eisenbrandt a decade to write this beautifully crafted volume, but it was well worth waiting for." 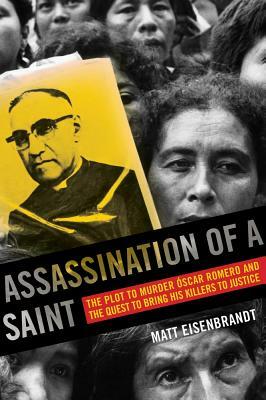 "Eisenbrandt is the first to craft a detailed narrative of the plan to murder Romero and ensuing efforts to bring the perpetrators to justice."